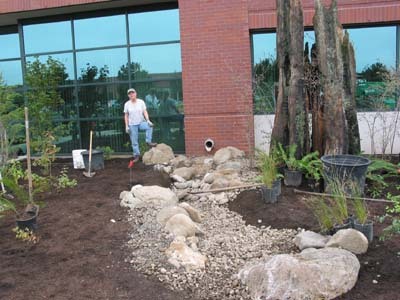 Direct the rainwater from your downspouts through a creekbed with rock, gravel, and water-loving plants to filter it naturally before sending it on its way back into our watersheds. You'll reduce pollution and create interest and beauty in your garden! To view this garden, visit the Fish and Wildlife offices in Vancouver, at 1211 SE Cardinal Ct.